How does a story begin? Sometimes it begins with a dream, and a dreamer. Mary is one such dreamer, whose only escape from her strict father and overbearing stepmother is through the stories she reads and imagines. Unhappy at home, she seeks independence, and at the age of sixteen runs away with poet Percy Bysshe Shelley, another dreamer. Two years later, on a stormy summer evening, their friend Lord Byron suggests a contest to see who can create the best ghost story. Mary has a waking dream about a monster come to life. 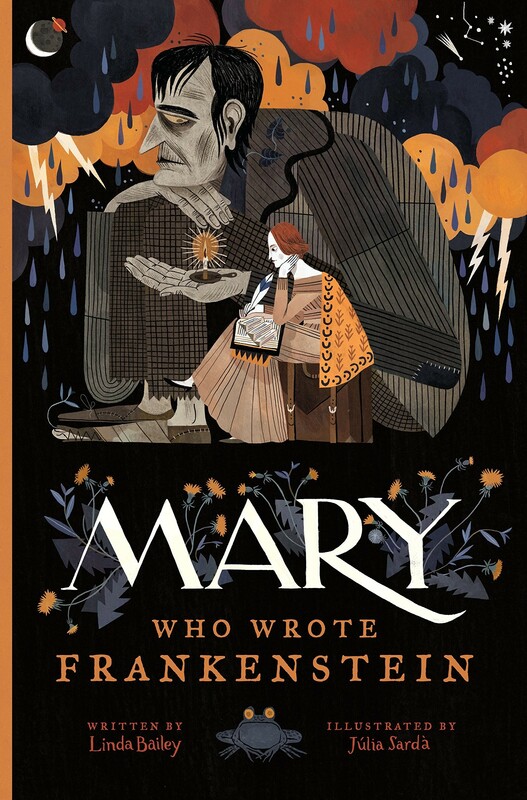 And a year and a half later, Mary Shelley's terrifying tale, Frankenstein: or, the Modern Prometheus, is published — a novel that goes on to become one of the most popular legends of all time. 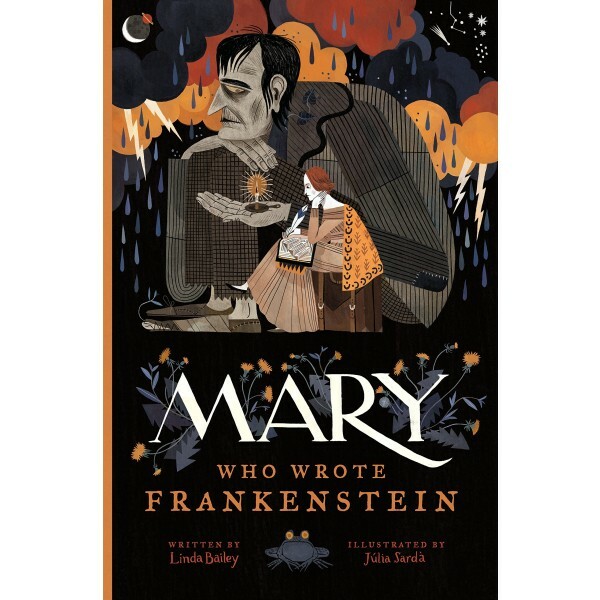 A riveting and atmospheric picture book about the young woman who wrote one of the greatest horror novels ever written and one of the first works of science fiction, Mary Who Wrote Frankenstein is an exploration of the process of artistic inspiration.